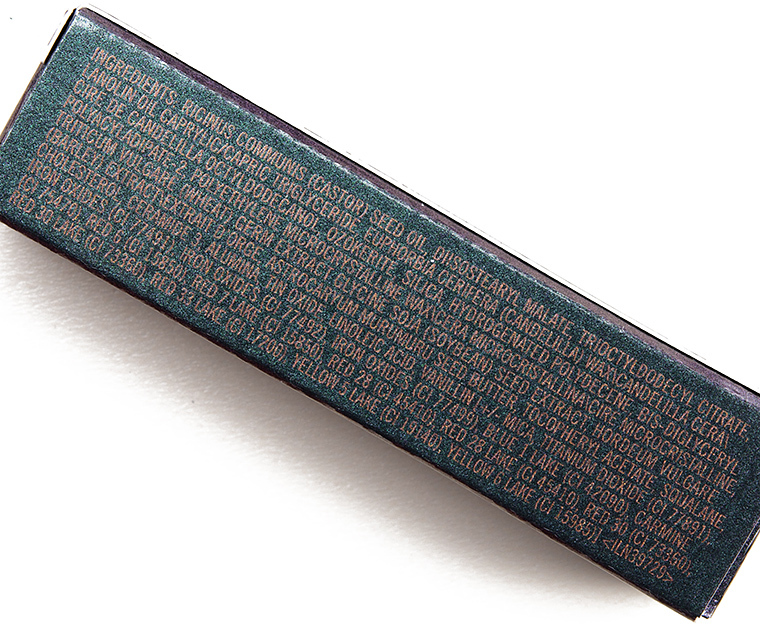 MAC Beach Nut Lipstick ($18.50 for 0.10 oz.) 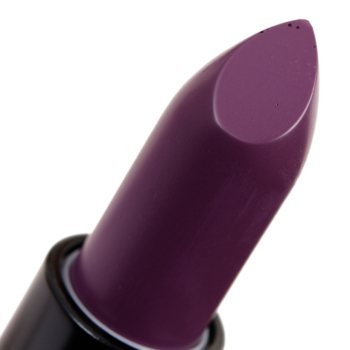 is a medium-dark, muted purple with subtle,w arm undertones and a satin finish. The color payoff was fantastic with smooth, even coverage in a single layer. 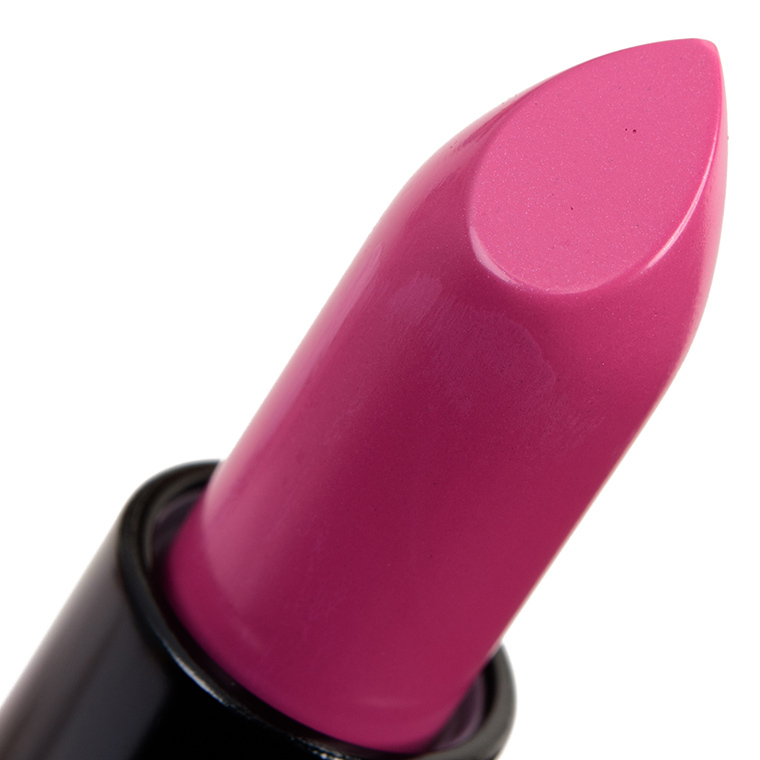 The lipstick had a firmer, denser feel in the tube but glided across my lips without dragging. It wore well for six hours, left a faint, pinkish stain behind, and was non-drying. It was listed as a matte, but it didn’t look matte until after a few hours of wear (after the shine wore away). Kat Von D Ozzy (P, $19.00) is lighter (90% similar). Urban Decay Twitch (P, $18.00) is lighter (85% similar). Urban Decay Notorious (P, $18.00) is lighter, brighter, glossier (85% similar). Anastasia #9 (Vol. 1) (P, ) is brighter, cooler, less glossy (85% similar). 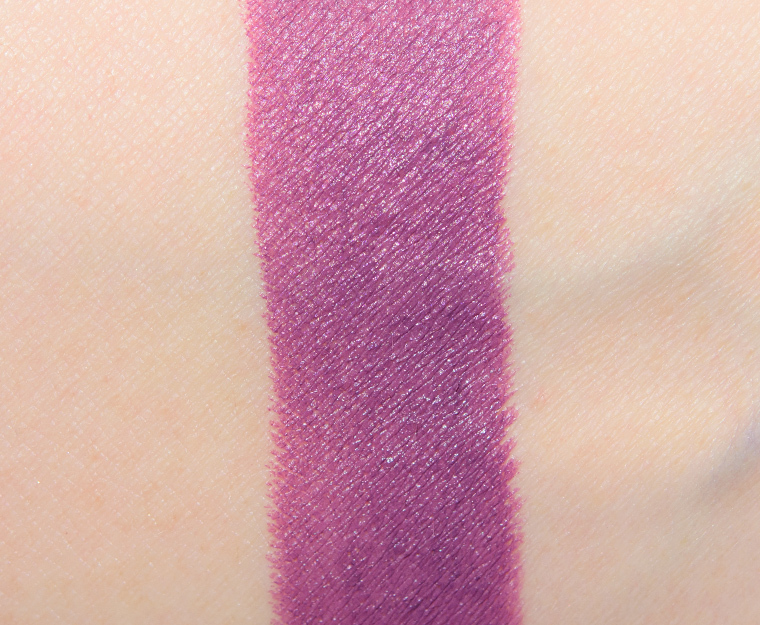 Estee Lauder Shameless Violet (P, $30.00) is darker (85% similar). Kat Von D Ozzy (LE, $21.00) is lighter (85% similar). Smashbox Action (P, $21.00) is lighter (80% similar). Colour Pop Cheetah (P, $7.00) is lighter (80% similar). Colour Pop Leather (P, $5.00) is darker (80% similar). Bite Beauty Taro (LE, $26.00) is cooler, glossier (80% similar). 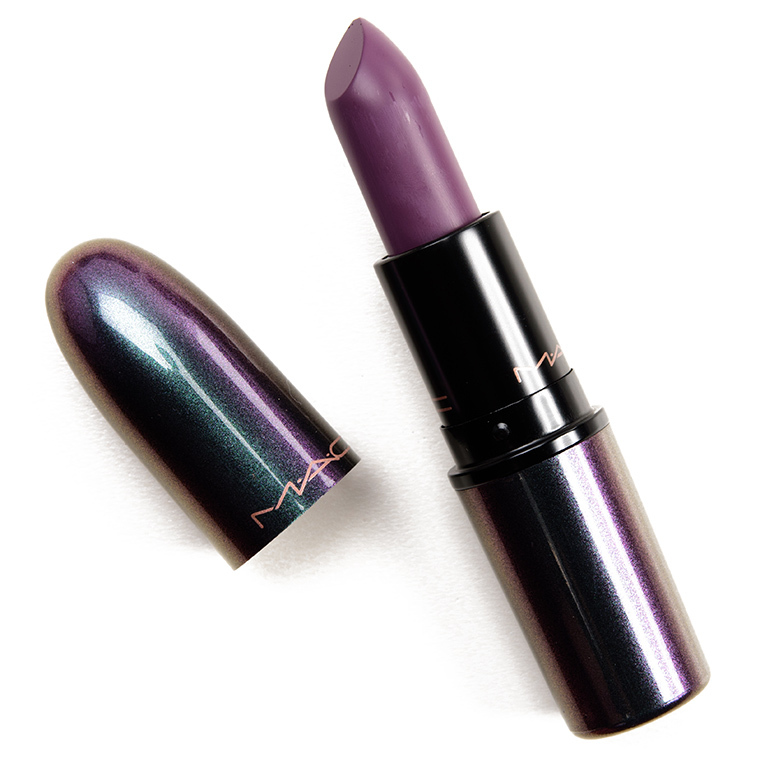 MAC Goodbye Kiss Lipstick ($18.50 for 0.10 oz.) is a slightly bright, medium pink with cool, blue undertones and a cream finish. It had nearly opaque pigmentation with a lightweight, lightly creamy texture that had moderate slip but adhered well to my lips and didn’t slide around while worn. The lipstick stayed on well for four and a half hours with a lightly hydrating feel. Clinique Wow Pop (P, $18.00) is lighter (95% similar). NYX Summer Breeze (P, $6.00) is lighter (95% similar). Bite Beauty Lotus Root (LE, $24.00) is more muted (95% similar). 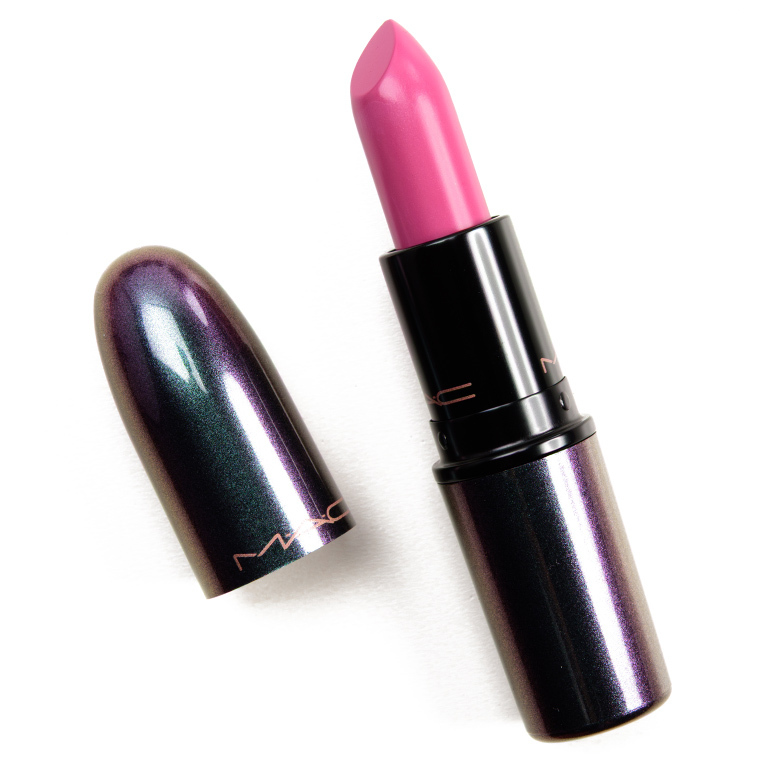 MAC Pink Nouveau (P, $18.50) is lighter (90% similar). 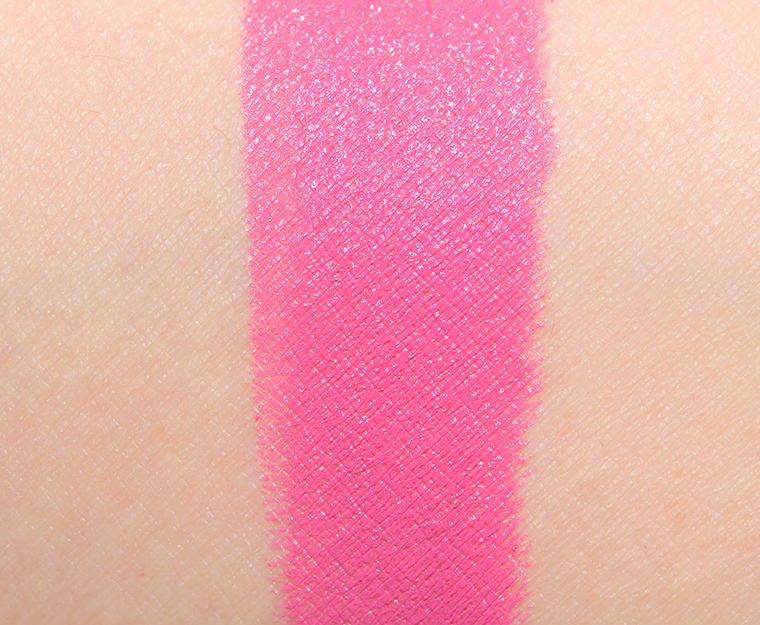 Bite Beauty Nearly Neon Pink (LE, $26.00) is brighter (90% similar). Tom Ford Beauty Preston (LE, $36.00) is lighter (85% similar). Make Up For Ever C209 (P, $22.00) is lighter, warmer (85% similar). Anastasia Cotton Candy (P, $18.00) is lighter, cooler, less glossy (85% similar). Bite Beauty Cotton Candy (P, $26.00) is lighter (85% similar). 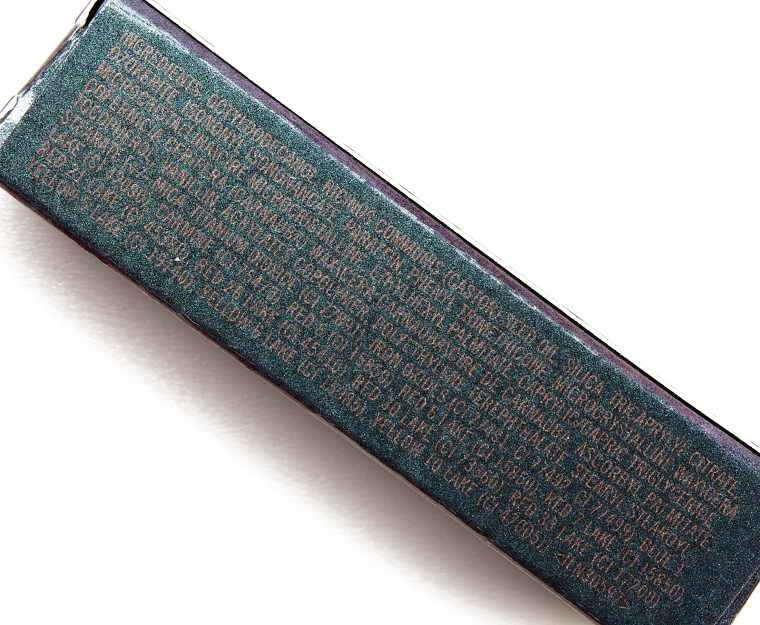 NARS Claudia (P, $34.00) is lighter (85% similar).